What's New for the 2019 Lincoln MKZ? This year, the Lincoln MKZ comes standard with a longer list of comfort and convenience features. That means a more luxurious ride at no extra cost. The 2019 Lincoln MKZ optional V6 engine is now only available for the top-trim Reserve II sedan. There are three Lincoln MKZ trim models, all of which are nicely equipped with luxury features. As you cruise the dealership lot, you'll find the base, Reserve I, and Reserve II trims. 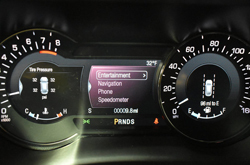 This year, the base Lincoln MKZ introduces a lengthier list of standard features. In terms of performance, it provides smooth, rich comfort with its adaptive suspension. Adaptive xenon headlights offer a well-lit path. After a long day at work, the keyless entry and ignition features make it easy to escape. Inside, simulated leather upholstery and dual-zone automatic climate control wrap you in comfort. 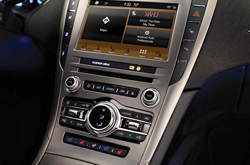 The base Lincoln MKZ also delivers world-class tech features, including Lincoln Sync 3 infotainment interface. The 8-inch touchscreen is pre-loaded with Apple CarPlay and Android Auto capabilities, so you can use smartphone apps without looking down at your phone. And, of course, every Lincoln MKZ comes with the Co-Pilot 360 suite of safety aids, including automatic emergency braking, to help keep you out of trouble. When you select the Reserve I trim, this luxury sedan gets a bit more luxurious. Inside, you'll find soft, supple leather upholstery. Genuine wood trim makes you feel like a rock star on your way to work. The enhanced interior ambient lighting gives the cabin a soft, muted glow, so you can always locate your carry on items after dark. The 110-volt household-style power outlet charges your laptop from the road. This trim also features a navigation system to help you take the shortest route home. 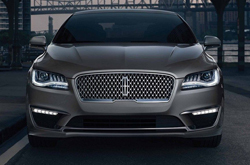 At the top of the Lincoln MKZ hierarchy is the Reserve II. This world-class sedan has every comfort, including ventilated and massaging front seats. Being stuck in a traffic jam just got a little more exciting. The power rear window sunshade helps keep the cabin cool on a hot day. The Reserve II also includes an active park assist system that does the hard stuff for you, guiding you into a tight parking space without a scratch. You'll also love the 14-speaker Revel audio system, which includes HD radio capabilities. This is the only trim that offers the upgraded V6 engine, so you can combine premium comfort with maximum speed. Under the hood, the gas-powered Lincoln MKZ comes standard with a 2.0-liter turbocharged four-cylinder engine. It delivers 245 horsepower and 275 pound-feet of torque for a smooth, quick highway ride. Add all-wheel drive for sporty traction on winding roads and tight turns. 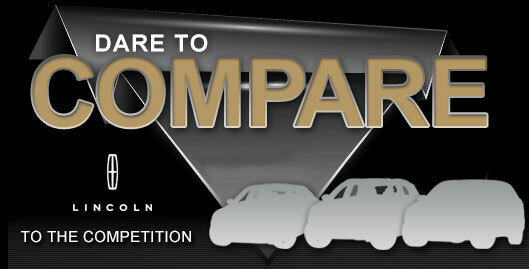 If you choose the Lincoln MKZ Reserve II trim, you can add the optional turbocharged 3.0-liter V6. It takes performance to the max with 350 horses and 400 pound-feet of torque. Finally, the Lincoln MKZ hybrid powertrain is available at no extra cost. If you want to combine luxurious speed with optimal fuel economy, check it out. This 2.0-liter four-cylinder engine works in conjunction with an electric motor to produce a combined output of 188 horsepower. You should note, however, that all-wheel drive isn't available for the Lincoln MKZ Hybrid. This four-door luxury sedan impresses with its pristine crash-test scores, including a perfect five stars for overall safety from the National Highway Traffic Safety Administration. And, if that's not enough to put your mind at ease, Lincoln Co-Pilot 360 suite of driver aids is. This safety bundle includes blind-spot monitoring, lane keeping assist, and automatic high beams. These tech features give you time to react to danger you might otherwise miss. Call or visit our Grapevine dealership for a test drive!